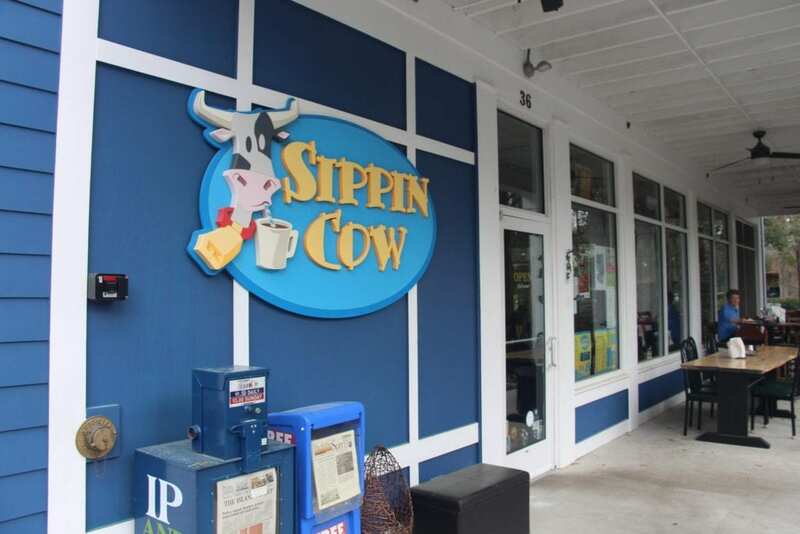 Home Discover Bluffton Food Sippin Cow | Breakfast is Served! 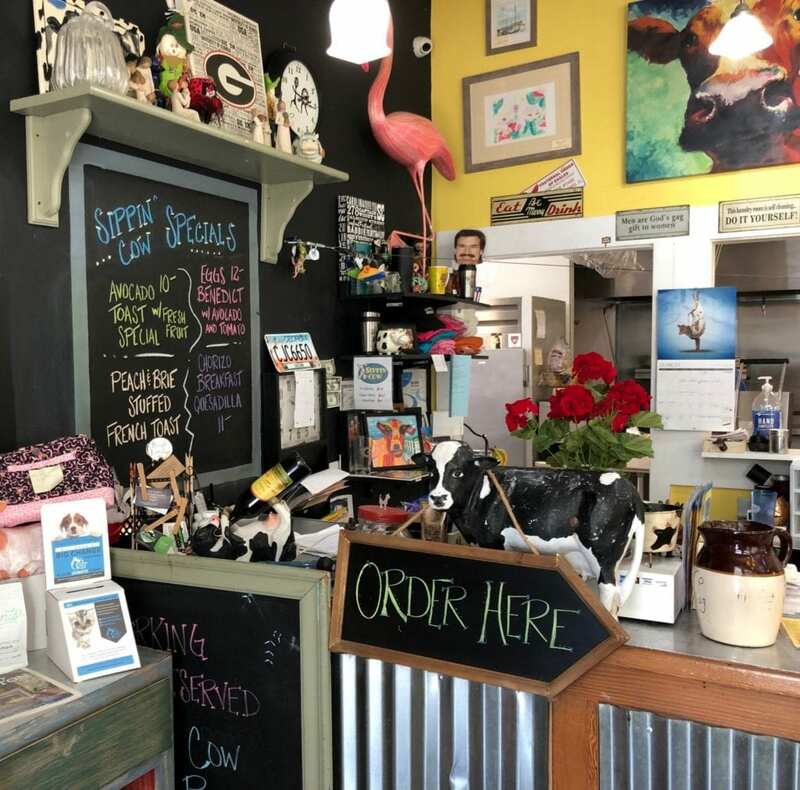 Once the morning light has broken through the windows and you’re dreaming about breakfast, it’s time to put on your walking shoes and head over to Sippin Cow – Old Town Bluffton’s Cozy Breakfast & Lunch Cafe. 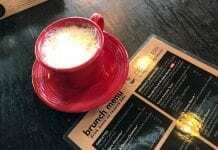 Breakfast starts at 7 am Tuesdays thru Saturdays, and 9 am on Sundays. 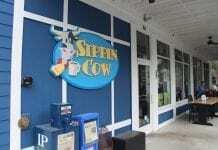 Please note that Sippin Cow is closed on Mondays. When you enter through the doors, walk straight up to the counter to order. All you need to do is look for the cow with the “Order Here” sign! What should you eat??? If it was a late night of Rock-n-Roll, you’ll find plenty of options on the menu to feed the hunger Rock Monster. 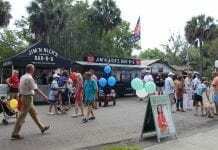 We recommend the Sunshine Sandwich, Sippin Cow Special, Omelette, Pancakes and French Toast! Yup, we love them all! 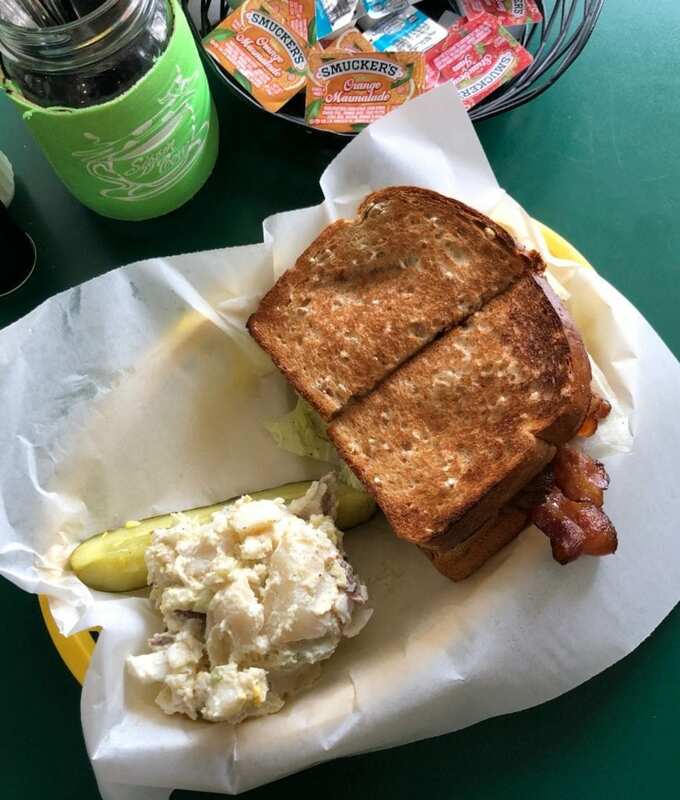 The Sunshine Sandwich is two eggs with cheese and choice of bacon, ham or sausage with a little mayo on your choice of toast. Yum! 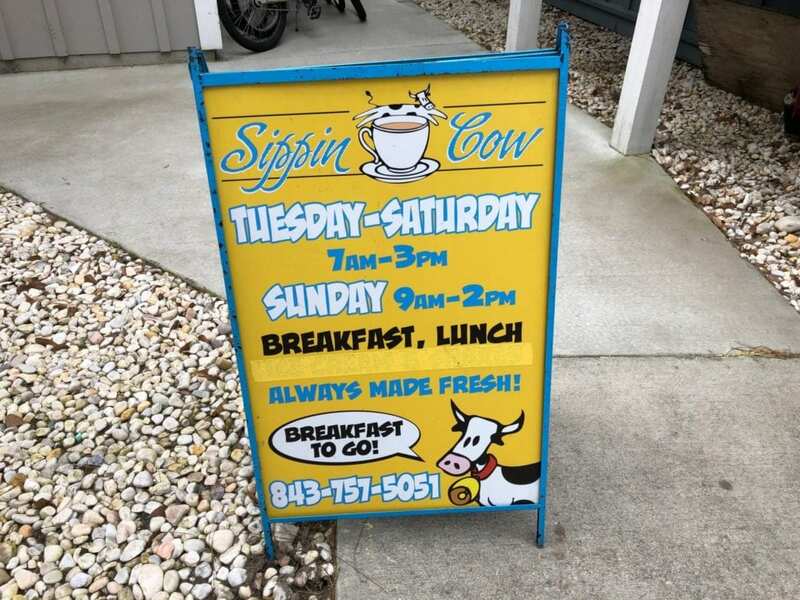 The Sippin Cow Special is two egg (almost any style), choice of ham, bacon or sausage with choice toast, grits or hash browns, and coffee or tea. No matter which one you choose, you’ll leave satisfied. To see their entire menu Click Here. You’ll also find sandwiches and salads on their menu for lunch. Try the BLT! It’s awesome! Remember that everything is made to order and it will take time for the food to be prepared and delivered to your table.